and myFlightScope.com to accelerate player improvement. Introducing Player and Professional memberships with video storage capabilities for improved communication and complete performance tracking. Get the video, data, and performance reports you need all in one place. Join the MyFlightScope.com community and connect with fellow golfers like yourself. Keep track of your stats over time, spot trends or tendencies, and see how you have improved. Practice with any FlightScope app and get instant feedback on your ball flight and swing or challenge your friends and compete for a spot on our leaderboards. All of your data is automatically uploaded to MyFlightScope.com where you can share your success with your coach and friends. Boost your fitting and teaching business with advanced instruction and certification from the FlightScope Academy. 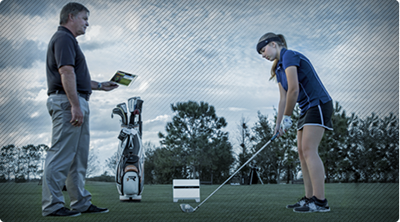 Take your training to the next level, and find a FlightScope system in your area. Get the most out of your FlightScope system with these great integrated products for improved tracking and analysis.